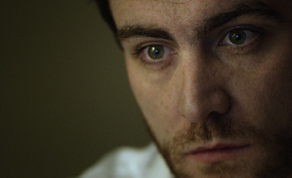 Alan Mulligan’s debut feature film ‘The Limit Of’, has secured an Irish theatrical release with Sentioar. Featuring rising star Laurence O’Fuarain (‘Vikings’, ‘Don’t Go’) and IFTA-nominated actress Sarah Carroll, the film is set for an Irish cinema release on April 5th. Produced by Anthony Mulligan and Tim Palmer (‘Into The West’, ‘Patrick’s Day’), the story is rooted in Alan Mulligan’s career as a young banker during the Celtic Tiger years and its crushing aftermath. The film, which captures the rapacious greed of the financial world and society’ ever-growing need for control, premiered to acclaim at the Galway Film Fleadh in 2017. James Allen (Laurence O'Fuarain – ‘Black 47’, ‘Vikings’) is a successful, controlling, thirty-something banker living alone and working in Dublin city at the tail end of the recession. When a family tragedy occurs due to the ruthlessness of his employer, he takes decisive action to try to make things right. Meanwhile, his enigmatic co-worker Alison (IFTA Best Actress-nominated - Sarah Carroll) has her own agenda, which puts her on a collision course with James, triggering a dark spiral of deceit, revenge, and murder. ‘The Limit Of’ is released in Irish Cinemas on 5th April.